Here’s the most finished illustration I did last week. 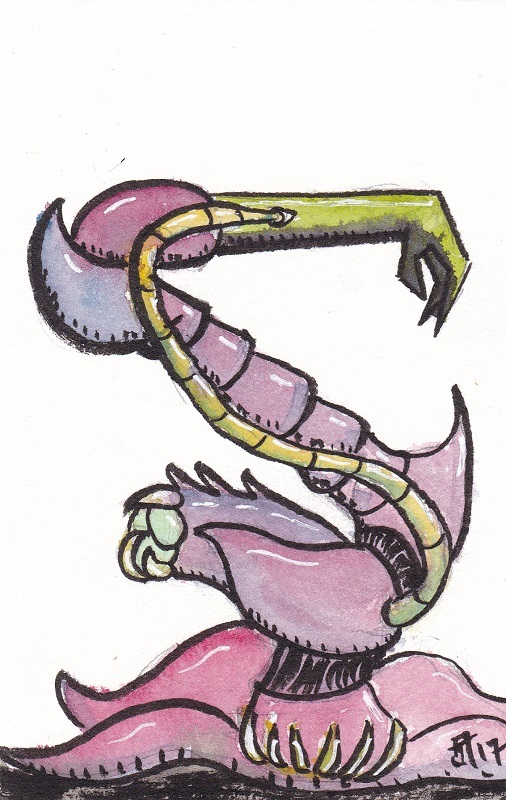 I sketched out a robotic arm, and then drew monster parts over it. I’m pretty happy with how weird it is. The colors came out well, too. 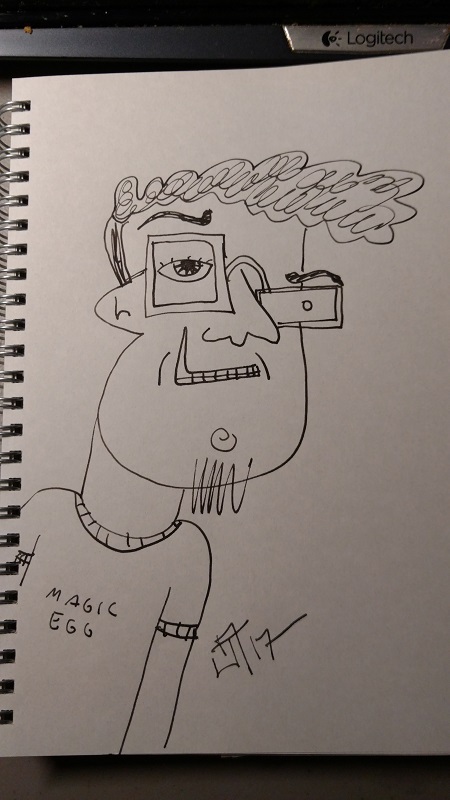 This is a doodle I did of my buddy Tim. He mentioned Picasso on his stream, so I figured what the hell, I’ll Picasso Tim. 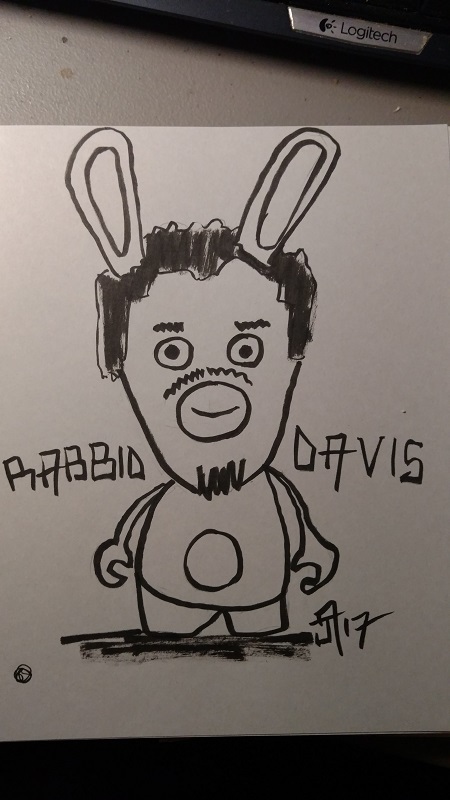 This is a doodle of my buddy Davis as a rabbid from the new Mario Rabbids game. 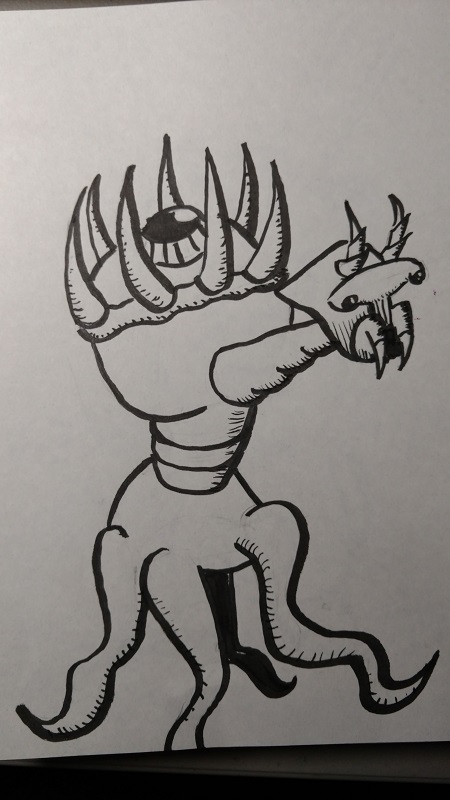 This is a weird creature I made, using a robot body as a sketch base for form with a bunch of my own things layered over it. It was a fun exercise. These are a few doodles I did yesterday. I’m playing around with my character, Gorbold Trashman, a bit, trying to get a good style of him done. 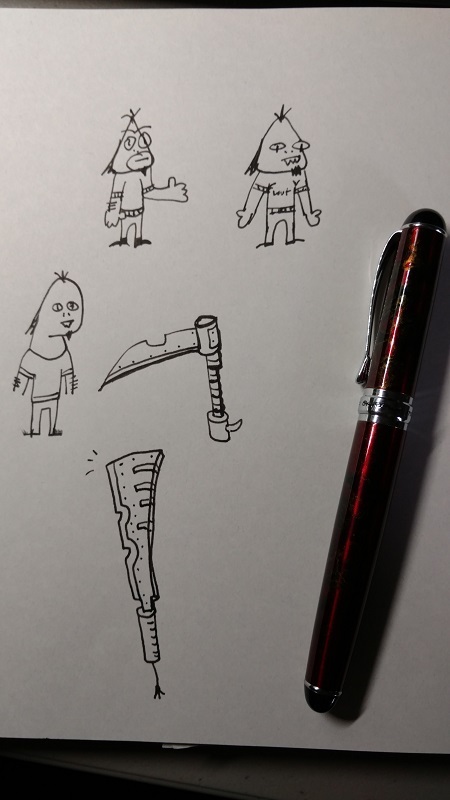 I also sketched some weapons based off the ones I saw in Dauntless. In the above photo you can also see the fountain pen I just got. I’m pretty happy with it. It’s a Jinhao X750. They’re pretty inexpensive and are rather nice quality for the price.